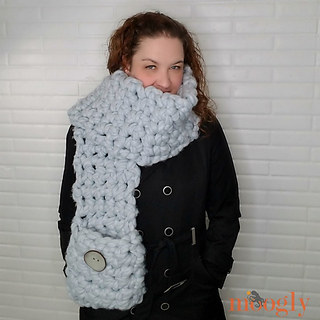 After I designed the knit Big Fast Pocket Scarf, I was deluged with requests for a crochet version! 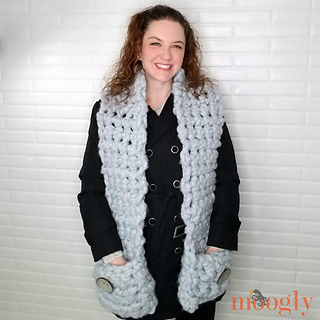 Well, that would’ve taken a great big hook - so I used my fingers to create the Cool Hand Pocket Scarf with the same great look! Crocheting with your fingers isn’t really any different than crocheting with a hook. It’s really no more difficult than making a slip stitch! And because it’s crochet, you aren’t “trapped” like you can be with arm knitting - there’s still only one active loop so you can put your project down any time. If you don’t like the idea of using your hands to crochet, you can indeed use a hook. I tested out my US-T, 30 mm Furls hook, and it works well too! 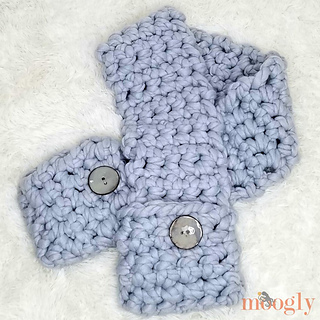 Otherwise, you can crochet this scarf with nothing but the yarn and your own two hands. I’ve added lots of photos to help, and a video tutorial will be added soon!